Article originally published in Management Today. 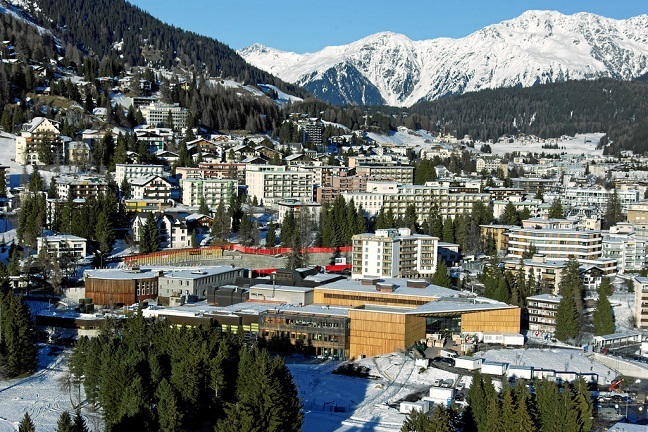 World Economic Forum in Davos, Switzerland, January 17, 2011. Photo credit: Management Today. 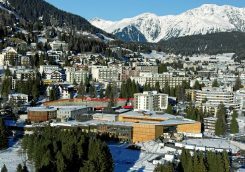 Next week sees the annual gathering of business and political elites at the World Economic Forum in Davos. The theme is Globalisation 4.0. It is also the fourth anniversary of Trust Me, PR is Dead – my attempt to reconcile issues of leadership, communications and trust in the chaotic early decades of the 21st century. Hands-up: I got the title wrong. I always preferred the alternatives – “The Activist CEO” or “World Gone Wrong: Why business needs employee liberation” – but lacked the confidence to step away from my breeding ground. Another half-decade of business scandal and zombie politics having taken its toll, the key themes in the book remain resonant for Globalisation 4.0. Premonitions about “bad things happening” came to pass, as ugly social movements filled the vacuum of ethical leadership. Meanwhile, the death of mass persuasion accelerated as a result of micro-targeting and data. Collateral damage to a good society was inevitable with the likes of Cambridge Analytica lurking. Business 4.0 needs radical honesty and radical transparency at its core. Public Relations therefore still has no more of a long-term future than many of the lumbering multi-nationals, political parties or industry bodies assembled atop the Swiss mountain. CEOs must think and behave like social activists to address the global challenges, injustices and divisions of the mid- 21st century: environmental and social; political and financial; citizen, customer, employee, regulator and investor. Those paying lip-service will be found out. Activism needs to be evidenced through actions, not words – long-term, negotiated and sustainable. Business leaders who suggest they are in control of anything – from reputation to employees to customers – are indulging in control fakery. Those who openly embrace the un-controllable chaos of the current condition may emerge with at least a degree of authenticity, credibility and respect. As I wrote in 2015, tomorrow’s leader must be prepared to stand naked, ceding, seeding and sharing power not to/with an angry mob but to/with those they entrust through fair and equal voice and representation. From fake control to fake purpose: snake-oil salesmen, many wearing suits of greedy marketeers, remain a significant threat to those navigating towards meaningful change, a better society and the common good. “Purpose-washing” and “greenwashing” too easily plough the furrow of this decade’s Corporate Social Responsibility initiatives. Meanwhile, some rightly warn of the tyranny of perfectionism – destructive attacks on those responsible leaders, none without blemish of course, who are genuinely trying to do the right thing. Purpose peddling – where CEOs, their organisations and agencies deliberately disconnect actions from words – undermines the determination of the (too few) good guys still struggling to have a meaningful impact. Employee Liberation recognises the importance of fair and equal rrepresentation and voice. It speaks to the real diversity agenda and the shift in control. Movement captures the power and momentum of networks and that trustworthiness today flows horizontally between peers. Trust cannot be imposed from above or by big, centralised machines (if ever it really could). The book title was ironic but ultimately mis-leading. Storytelling will never die. It feeds a profound human need for comforting narratives. This does not mean that PR is suddenly a profession (it isn’t) or that lying – some call it “fake news” – is acceptable. One of the tragedies of Trumpism and the excesses of Brexit is the extent to which falsehoods are deployed to support “winning” stories. We must all fight harder to support truthful storytelling through expertise, evidence and fact-checking. Sanctions are needed for those who deliberately mis-lead – leaders, advisors and professional bodies alike. This demands public scrutiny alongside radical transparency – both friends of public leadership and essential in Globalisation 4.0. Robert Phillips is the author of Trust Me, PR is Dead (Unbound, 2015) and co-founder of Jericho Chambers. He is a Visiting Professor at Cass Business School, City, University of London.